New functionality in K5: "Donate to the team"
In Korner 5, we´re working hard on the Tournament system! Almost all the community is participating and the last few days you've been especially active, which brings us closer than ever to a real league... we're seeing a lot of plays, goals and nearly professional teams... with huge stars! And since your opinion is very important to us, after many suggestions from the community we have added a new functionality: "Donate to the team". This new option will allow you to donate K$ to your team's common account and that way, you can help it to participate in more Tournaments! In addition, you can use the K$ from the common account to improve your team's equipment, new shirts, shorts, socks in many different colors... that way you'll be on the pitch with style and fully trained! What are you waiting for? 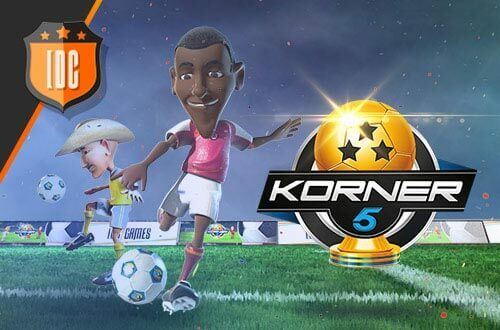 Access Korner 5 right now and help your teams! With the help of your friends and working together you'll be a true team... and you'll be closer to victory and winning the Korner 5 Trophy! Don't forget to tell us what you think of this new functionality so we can improve it, comment in the forums!